Supermicro Unveils GPU SuperBlade at SC10 – Throughwave (Thailand) Co.,Ltd. SC10, New Orleans, Louisiana, November 15, 2010 – Super Micro Computer, Inc. (NASDAQ: SMCI), the global leader in server technology innovation and green computing, is exhibiting an impressive selection of GPU-optimized supercomputing servers at the SuperComputing 2010 (SC10) Conference held at the Ernest N. Morial Convention Center in New Orleans, November 15-18, including a SuperBlade® that supports 20 GPUs in a single 7U blade enclosure. “As the leader in GPU and Twin supercomputing system architectures, Supermicro is introducing an unprecedented high-density GPU SuperBlade, which supports two NVIDIA Tesla M2050/M2070 GPU cards with non-blocking native Gen2 PCI-Express x16 connections per node,” said Charles Liang, CEO and president of Supermicro. “Compared to other GPU-enabled blade solutions, our GPU SuperBlade provides more than double the number of GPUs per 1U of rack space, and it is perfect for high-performance computing (HPC) applications in fields like medical imaging, oil and gas exploration, quantum chemistry, financial simulation, genomics and astrophysics.” Supermicro’s new SuperBlade system enables up to 120 of the highest performing Fermi GPUs plus 120 of the latest Intel® Xeon® 5600 series processors to be deployed in a standard 42U rack. Equipped with dual IOH chips and dual 40Gb/s QDR IB HCA per blade, this GPU SuperBlade solution delivers maximum performance with the best CPU to GPU balance and optimized I/O. Supermicro’s GPU supercomputing servers are optimized for the latest NVIDIA M2070 and C2070 Fermi GPU cards with double the onboard memory of the M2050 and C2050 cards. The 1U SuperServer 6016GT-TF-FM207 provides up to 1 TeraFLOPS of double precision performance, and the SuperServer 7046GT-TRF-FC407 comes loaded with four double-width NVIDIA Fermi C2070 GPU cards and supports three additional PCI-E add-on cards for high-bandwidth I/O. 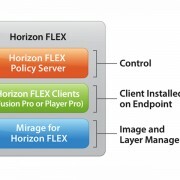 The company’s 2U Twin system that supports two hot-pluggable dual-processor (DP) compute nodes, two GPU cards, 24 hot-swap SAS2/SATA drives, onboard 40Gb/s InfiniBand, and redundant power. Considered among the fastest 1U servers in the world, Supermicro’s 6016GT-TF-FM207 serves as a uniform building block for large-scale deployments. Optimized for performance and reliability, the 6016GT-TF-FM207 supports dual Intel® Xeon® 5600/5500 series processors and features two NVIDIA Fermi M2070 GPU cards via two Gen2 PCI-Express x16 connections. 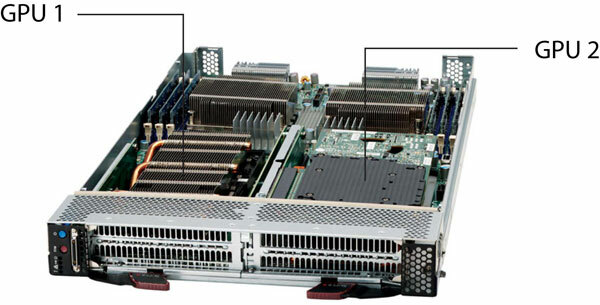 Also in a 1U form factor, Supermicro’s 1022GG-TF server not only supports two twelve-core AMD Opteron™ 6100 Series processors and two double-width GPU cards, but also can support two 40Gb/s QDR InfiniBand networking cards. In addition, Supermicro’s next-generation GPU-optimized supercomputing servers are coming soon. 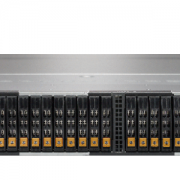 Suitable for both cluster configurations and personal supercomputing, the 7046GT-TRF-FC407 is a 4U system housed in Supermicro’s new rackmount convertible tower chassis, the SC747TQ-R1400. This chassis supports up to 11 full-height, full-length expansion cards, eight hot-swap 3.5″ SAS/SATA drives, and special design features that bolster graphics and computationally intensive applications. Backup Technology มี Hardware อะไรดีๆ ให้ใช้บ้าง?